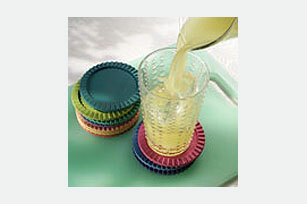 Place drink mix in large plastic or glass pitcher. Add pineapple juice and water; stir until drink mix is dissolved. Garnish each glass with a fresh lemon slice and mint sprig.